Our environment is not unchangeable. In fact, public and parliamentary buy in is at an all time high and the market is ripe for the right discussions to change the marketplace as we know it today. The South African foundries and forges are at the core of the local metals sector and are predominantly made up of Small and Medium Enterprise. These enterprise face tremendous challenges that have been levied against them due to strong and unburdened competition from external parties, poor implementation and policing of local designation policy, an overburdening legislative requirement for doing business locally, and a financial crisis faced by South Africa’s largest customers, namely government and state-owned enterprise. The largest impact of such challenges is that our own local market has become infertile, perhaps toxic, to our local manufacturers, whilst being an attractive playground for international players that enjoy competitive advantage. The Casting, Forging and Machining Cluster of South Africa is a special purpose non-profit company that was formed to have that discussion: focused on changing the local manufacturing profile, with an aim to help create a sustainable core metals manufacturing sector in South Africa. The cluster especially focuses along the lines of import replacement, increasing competitiveness, and access to market. Think of a cluster as a structured grouping of entities, with a shared vision, objectives and focus areas, working together in collaboration with one another, to address market challenges, for the benefit of the entire industry. CFMC is a registered non-profit company with members, a board that serves at the mandate of its members, and a steering committee. The cluster has the perfect structure to enter into negotiations with all the major stakeholders, including government, state-owned enterprise and big business around the localisation of manufacturing, addressing associated challenges, and raising of funds for localisation. The cluster has already made headway in its ongoing discussions with the Department of Trade and Industry (the dti), the Mandela Mining Precinct (mining sector), and Denel Gear Ratio (drivetrain manufacturer). It has also made strides alongside the Railroad Association, with whom it has a good relationship, to stop the approval of local content designation exemption requests. These discussions will also be had by SAIF, in its own capacity while lobbying for its members, but also as a member of CFMC. The biggest benefit of joining the cluster directly, while also being a member of SAIF, is that you will be involved directly in cluster projects (e.g. supplier development projects for big business and state-owned enterprise), you would be provided with the tools that will be used to connect the industry with one another, but also with manufacturers of other industries. You will also become part of our database of manufacturers, with detailed data collected proactively and updatable at any time by you. This ensures that when we enter into discussions, the data and aggregate industry figures is already there to substantiate and legitimize our discussion points. Furthermore, you would be invited to our discussions, meetings and tours - not only those held by CFMC, but also those held by other clusters in our broader cluster framework. 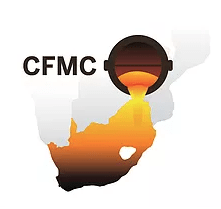 The CFMC is part of a broader cluster framework, namely the RSA Clusters Programme, where it is our goal to create an inclusive environment for growth and development. By becoming a member of any of the clusters, you become a member of, and are connected digitally to, the broader framework where you are able to participate in other clusters, and in across cluster projects. There is a growing number of clusters. At the moment, there are the Electro Technical Industry Cluster, Fabrications Cluster, Rail Manufacturers Cluster and of course CFMC. What makes clusters different and why are they relevant? The CFMC and other clusters have an industry-led implementation focus! The clusters focus more on collaborative win-win discussions. The clusters are about reclaiming the local market, which has been taken up by imports and multinationals. We do this through value chain strategy, by informing policy, guiding the use of appropriate standards and trade tariffs, by helping to identify and enforce local content designation, through structured local supplier development projects and by helping to build up local competency and capacity. It is important to note that government does not have the mandate, nor the resources to address all the issues experienced by local manufacturers alone. Government need industry to engage with them. They desire the input and collaboration of industry to provide them with what is necessary to make the right changes in policy. Up until recently, big business and organised labour have dominated the interface with government, with disastrous outcomes for the SMEs. By collectively collaborating with government in the form of a cluster, South African manufacturers, and the foundries in particular, have the size and the numbers to effectively interact and make changes for the betterment of the industry and country as a whole.